"All-in-one" team collaboration & project management app. Created by Samepage Labs, Inc.
Samepage is also a platform with 0 apps listed on AlternativeTo. Browse all 0 apps for Samepage. Subscription that costs between $8 and $9. Price may vary depending on commitment and so on. 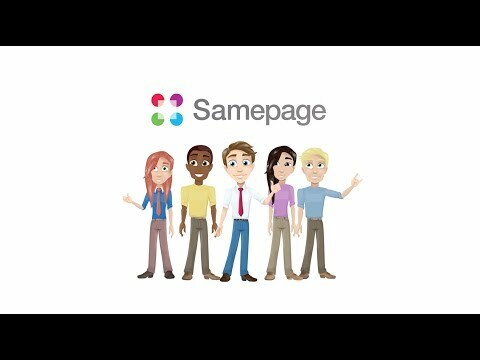 Samepage was added by mll in Mar 2013 and the latest update was made in Apr 2019. The list of alternatives was updated Mar 2019 There is a history of all activites on Samepage in our Activity Log. It's possible to update the information on Samepage or report it as discontinued, duplicated or spam. Alternatives to Samepage for Web, iPhone, Windows, Android, Mac and more. Filter by license to discover only free or Open Source alternatives. This list contains a total of 25+ apps similar to Samepage. All in one platform to manage projects, with live documents, tasks, events, file sharing and chat. I tried quite a few and Samepage works best for me. Visually appealing and simple yet effective.